Our Merlot displays rich aromas of cherry, chocolate, and red berries with enticing flavors of cherry cola and toasty mocha oak. This full-bodied wine possesses well-balanced acidity and beautifully integrated tannins, creating complexity and structure. Its soft, versatile style complements grilled meats, especially steak, lamb, pork chops, and hamburgers. 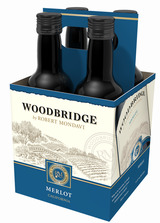 Enjoy this savory wine with hearty pasta with Bolognese sauce.